The music of Asha Nan pulses out a soulful blend of Brazilian, African, reggae, funk, and hip-hop grooves. Their music supports positive lyrics of peace, unity, and spiritual transformation. 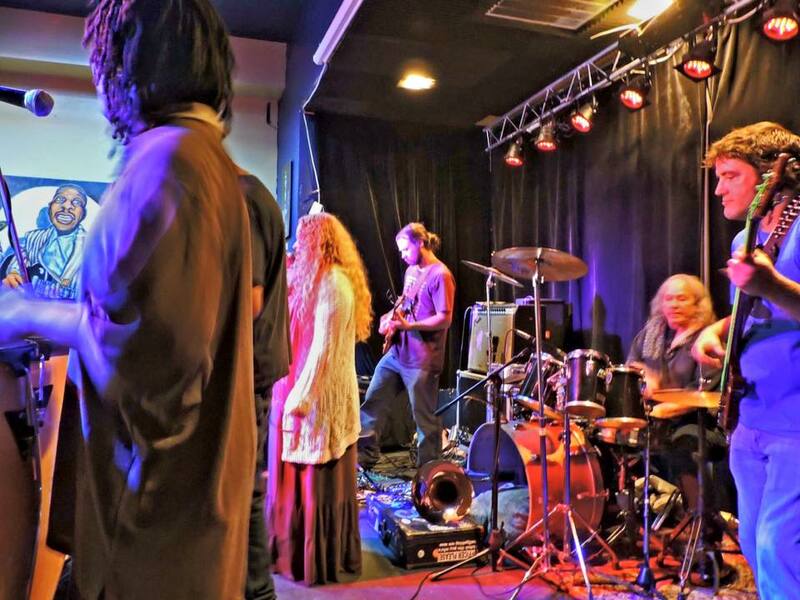 The group’s musicians, Mike and Yemaya Kimmel, Justin Schwartzman, Jeff Thomas, Ju Drum, Colleen McNeely, and Greg Stokes, come together from mixed generations and backgrounds to create a communal musical experience reminding people to celebrate unity and diversity. Asha Nan radiates organic life energy! Members of Asha Nan have shared the stage with artists such as Babatunde, Olatunji, The Hawk Project, Dirty Dozen Brass Band, The Brecker Brothers, Van Morrison, Mickey Hart, Michael Franti & Spearhead, Buddy Miles, and members of the Allman Brothers, and have played at venues such as Carnegie Hall, New Orleans Jazz and Heritage Festival, the United Nations, Bethlehem Music Festival, Drums around the World, The World Peace Festival, Woodstock Reunion Concert, Earthdance, Health and Harmony Festival, and more.